Will Birmingham join the United States Basketball Association? Will Birmingham play in the United States Basketball Association? Birmingham could have a founding franchise in a new professional basketball league that is gearing up to play in April 2008. The United States Basketball Association was conceived by a Georgia businessman named Duane Allen Jenkins, who has worked for two other minor league basketball leagues. "Minor league basketball has had a great many challenges throughout the years and unfortunately has left a great many cites and towns with a general distrust of minor league sports. We believe market stability, effective community involvement, reliable corporate partnerships, and league participation are some of the ingredients for a truly successful venture." Each franchise in the USBA will play a 30 game schedule from early April to late June. An All-Star Game at mid-season and a complete championship play-off series culminating in the first week in July. The USBA's inaugural season will be played with 12 teams. A standing invitation was issued to a group of basketball teams from another league. "These teams are successful and hold the respect of their community and we welcome them with open arms," said Jenkins. The local team is set to be called the Birmingham Crusaders. Current plans are to have two divisions, the Appalachian and the Atlantic. The Appalachian division will include Birmingham, the Chattanooga Royal, the Atlanta Platinum, the Nashville Thunder, the Asheville Mountaineers, and the Montgomery Generals. The Atlantic Division will consist of the Jacksonville Admirals, the Charlotte Blue Wave, the Savannah Seahawks, the Macon Marauders, the Augusta Raging River, and the Columbia Centurion. "We are extremely pleased with the warm reception we have received from the cities. We selected these venues to give each state equal representation in the USBA and as we add additional teams and divisions we will place them evenly throughout the country as to give all basketball fans an opportunity to enjoy professional basketball," Jenkins said. The USBA's headquarters will be in Atlanta, Georgia. The league will eventually maintain divisional offices throughout the United States. "As the league grows in the number of teams and additional divisions established, we think it is essential to have regional representation." Jenkins said. The USBA will own and operate the franchises until they are transferred to their new owners. "We have devised a minor league marketing package specifically developed for the business community to insure the survivability of USBA teams. In all sports programs there is a marriage between the team and the town, we anticipate many happy long lasting unions," Jenkins said. The United States Basketball Association announces it will postpone its inaugural season to 2009. The USBA was originally scheduled to begin its operation in 2008. The league ran into problems finding home gymnasiums for all 14 teams. "We gratefully found willing partners in the collegiate community, and we thank them for welcoming us in from the cold," said Jenkins. The USBA was formed in July 2007 in response to the demise of the United States Basketball League. Jenkins was contracted by the USBL in September 2006 to develop a Southeast Division of the USBL, and held the position of Southeast franchise director. According to reports, Jenkins was signed to an exclusive agreement by Ed Krinsky who then held the position of USBL director of operations. The USBL started its 22nd season in April 2007 with 10 teams in two divisions. It wasn't long after the start of the season that USBL league President Daniel Meissenhimer, III realized his league was in trouble. The USBL made the official announcement of the cancellation of the 2008 season on December 27, 2008. Team schedules and venues will be officially announced at a league meeting on June 28, 2008 in Atlanta, Georgia. The Birmingham Crusaders were still listed as a founding franchise. Kenneth Green, vice president of basketball operations of the USBA, announces that Jeff Hill has been signed to coach the Crusaders. Hill is currently an employee of Carver High School in the Birmingham City School System working as head basketball coach and track coach. Hill played his collegiate basketball at Drake University and has been associated with professional basketball on a number of levels. "For over 25 years, I've wanted my life to make a difference. If I can help one child succeed in life, their successes are my reward. This is a prime opportunity for me, my family, and for the city of Birmingham. Birmingham is my home. I love this town. I will use this basketball team to set an example to the local kids of what can be done and how far you can go. The folks in Birmingham have trusted me and I'll keep their trust by running a top quality program," said Hill. The Birmingham Crusaders will play as part of the Appalachian Division of the USBA. They will play a 30 game schedule, with 15 home games. The team will play their home games at the Bill Harris Arena at the Alabama State Fairgrounds. "With the wealth of players in Birmingham and in the state of Alabama, we will place a team on the floor that will win games," Hill said. Crusaders head coach Jeff Hill has selected 12 players who are willing to play for the $350 per week, free housing, and free daily meal at Golden Corral. His staff includes Jess Lanier girls basketball coach Connie Morris and Birmingham City Schools athletic director George Moore, who will be the director of basketball operations. "We're ready to go. We had practice Sunday. We had a team meeting later at Chili's, trying to keep them fired up. Duane called and said he'd be here (today) to finalize the agreement with Fair Park Arena and bring us uniforms and everything," Hill said. Duane Jenkins, USBA president and CEO, says that "come Hades or high water, we're starting." Jenkins said he is coming to Birmingham today to personally hand over $8,000 to lock down Fair Park Arena for practice and games. He says he mailed a cashier's check a month ago, but for whatever reason that check never reached the office. Leroy Cowan, director of the Alabama State Fair Grounds and Fair Park Arena, isn't as sure. "Mr. Jenkins has done his paperwork. But that doesn't complete the transaction. I think he has good intentions. But until I get the deposit, I won't say the facility is booked to them," Cowan said. The USBA was originally to be a 48 team operation spanning the country. That was before Jenkins took over as CEO, when he was simply hired by the former USBA owners to help market a new league. "I answered an ad in the Atlanta Journal-Constitution in 2005, the WBA (World Basketball Association). That was the worse mistake I ever made. I met the owners, pitched my proposal for developing a marketing plan, they hired me for $75,000 a year, and promptly missed the first payment," said Jenkins. Jenkins was recruited by a new league, the USBL, which unfortunately was about to fold, after playing in 2007. "The problem I'm having is, every company I've ever run, I had 100% control over. But this basketball has so many variables. I'm dealing with athletes, with individuals who are not businessmen. I'm being ostracized in cities because of what other leagues have done, and I don't blame them when I hear the stories. But I've worked for 30 years for what I've got. I've worked with Chambers of Commerce and Better Business Bureaus. I've handled millions and millions of dollars of other people's money. I don't like being lumped in with the other people who might not have had good will in mind when they initiated a business plan. I think there is a place for minor league basketball. I want to prove this can work," Jenkins said. Jenkins plans on starting out small. He's playing most of the league's games in gyms on the campuses of small colleges, using students to help run the games. Birmingham is one of the few sites where the games will not be played on a college campus, but in a city-owned arena. And Hill is ready to turn his attention to the Crusaders. "Most of these guys are hoping for a chance to play overseas or maybe the (NBA's) D-League. The timing is right for guys to have a way to stay in shape over the summer and be ready for tryouts in the other leagues. I'll admit I don't have the quality of player I was first looking for. But these are all local kids, good kids. I think we can be competitive. We're going to be competitive." Jenkins says he intends to shut down the league for 2009 and will focus on 2010. This is now the second season to be cancelled by the league. Jenkins said the two main reasons for shutting down are the state of the economy and the poor reputation other minor league basketball teams have left in USBA markets. "It's not that we don't have the money to do this thing. I have to distance myself from what's happening with these other leagues. Other towns are lumping us in with what these other teams have done," Jenkins said. "The last thing we want to do is hurt any local business by playing half a season and taking their money and leaving, and then hearing everybody say, 'They're just like the other guys.' It's not fair to the town, and it's not fair to the fans and players." Jenkins said the players who paid to try out for the team will be reimbursed the $75 fee, and all coaches will be compensated for their time worked. "We are going to be back next year. No question about it," Jenkins said. USBA vice president of basketball operations Kenneth Green announces the hiring of Terry Truax as head coach of the Birmingham Crusaders. Truax comes to the USBA and the Crusaders after serving most recently as head coach at Hagerstown Community College. Truax is most known for his long stint at Towson State University, where he served as head coach for 14 years. During his years at Towson State, Truax won three conference titles and made two NCAA Tournament appearances. "We are thrilled to announce Coach Truax as our new men's basketball coach in Birmingham. He is a great fit to start a winning tradition in the Magic City. He brings outstanding leadership, coaching skills, and a shared sense of USBA’s core values. Coach Truax understands that having an inaugural program means developing young athletes and developing a solid relationship with the community and we believe that he will excel on every level personally and professionally. His ability to coach, instruct, and recruit will allow us to continue toward our goals to install a top competitive team in Birmingham. We look forward to a long and successful association with him," said Green. During his long and outstanding career, Truax also served as an assistant coach at a number of NCAA basketball powerhouses, including the University of North Carolina under legendary Tar Heel head coach Dean Smith. Truax also served on the coaching staff at Mississippi State, the University of Colorado, and the University of Florida. "Having coach Truax in the USBA is like working with your father. I may be the president, but Terry is the boss. He has friends like Bobby Knight, Denny Crum, and Morgan Wooten of De Matha Catholic High School fame. I’m going to be learning a lot from him,” said Jenkins. League play is set to begin on April 7, 2010. The United States Basketball Association never tipped off. 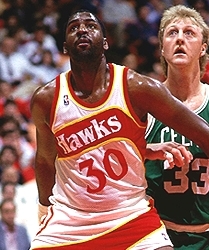 In March 2011, Duane Allen Jenkins is reported to be pursuing a lawsuit against former Atlanta Hawk basketball player Wayne 'Tree' Rollins. The lawsuit stems from negative comments made by Rollins in an interview he gave to a newspaper in Augusta, Georgia. "The comments Mr. Rollins made were an unfortunate choice of words, we gave him every opportunity to apologize, and however he apparently chooses to stand by his statements, so now he must answer for his actions," Jenkins said. In the interview Rollins referred to Jenkins as a scammer and used several other defamatory and libelous statements during the interview. His comments are due to the cancellation of a basketball season previously scheduled to begin in June 2010. Jenkins had started a professional women's basketball league in March 2010 and Rollins had approached the new league for a position as the head coach of the Jacksonville, Florida franchise. The league postponed their season until June 2011. Rollins apparently became upset and yelled at Jenkins during a league conference call before the newspaper interview.